It's a pretty awesome time of year, my blog reading friends! What time of year? OPI Designer Series time! 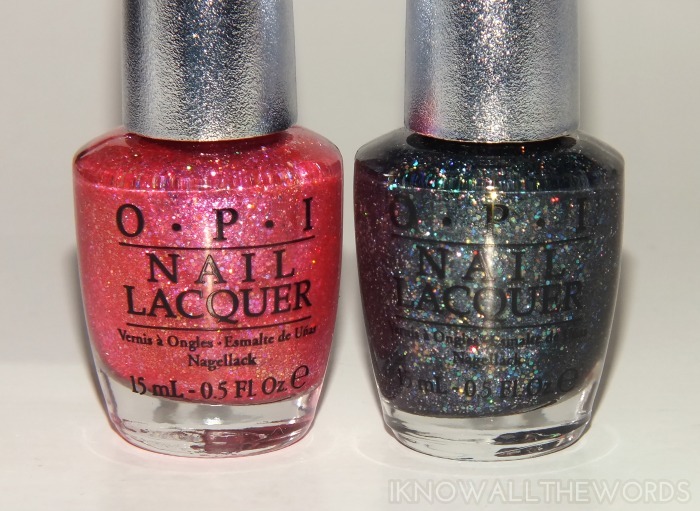 How can you not get at least a little bit excited about two new, sparkly polishes with a new finish to match? 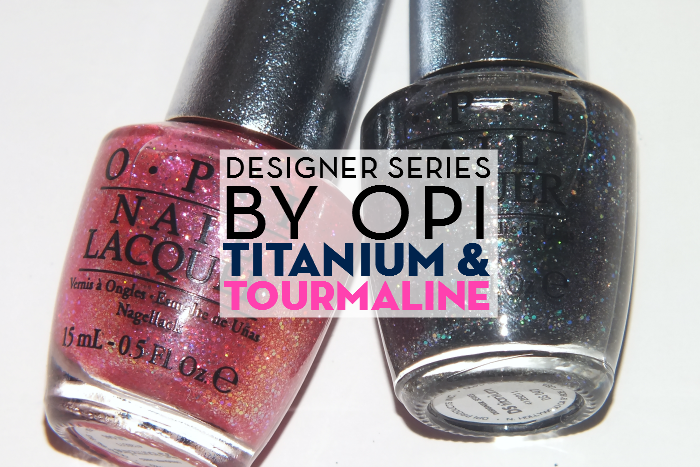 Read on for a closer look at Tourmaline and Titanium. Each year OPI seems to up their game with the Designer Series, as they're always giving us something new and different. This year, we've got the new Polished Quartz formula, that features a semi-matte finish with intense three-dimensional sparkle. I found the density of the glitter and shimmer also gave the polish a slight texture when it dried. While the finish is semi-matte, the amount of shimmer and glimmer gives a lot of shine and you don't really notice that it's not glossy. DS Tourmaline is a vivid rose-pink shade packed with various sizes of glitter and shimmer in a host of lighter hues. The base is sort of jelly like, in the fact that it's sheer on the first coat, but it built easily nd was fully opaque in two coats. 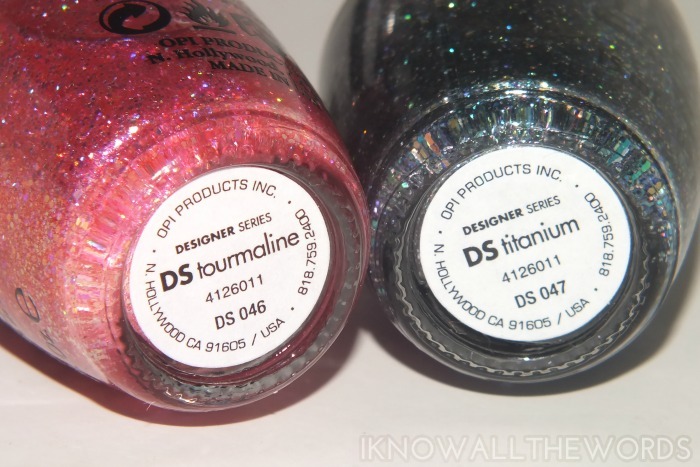 DS Titanium is a deep, blue tinged charcoal packed with various sizes of glitter and shimmer in deeper rainbow shades. While the base has the same jelly-like sheerness of Tourmaline, the glitter is different in Titanium as it reflects in deeper shades and has more pop against the darker background. Overall, I love the finish of these! Titanium is my favourite of the two, but your really can't go wrong with a bit of glittery pink either, no can you? The Designer Series shades will be available as of September 3rd. What do you think of them- yay or nay?